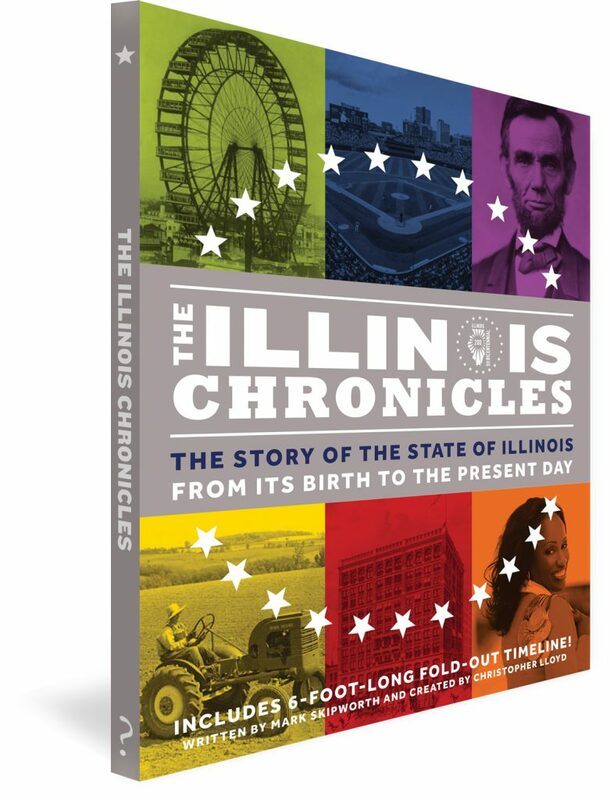 The Illinois Chronicles uses chronological historical resources in an innovative timeline, creating a remarkable opportunity to teach us about our shared heritage, as well as help us think about the future. We are very excited to share with you the Illinois Chronicles in celebration of the Illinois Bicentennial. Illinois is the Land of Lincoln. Having an easy to read but detailed and informative narrative in the style of reportage and a timeline is not only unique, but will also be highly relevant and engaging for years to come. James Cornelius, Keeper of the Lincoln Collection at the Abraham Lincoln Presidential Library and Museum. Try your luck with our three amazing 10-question Bicentennial quizzes! 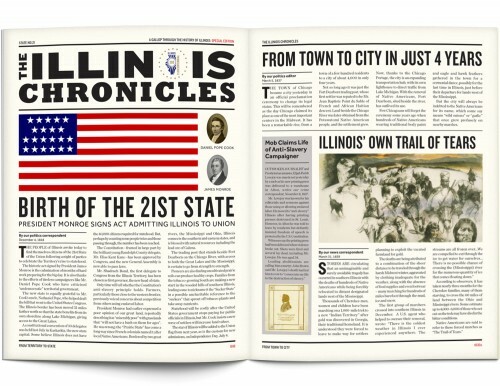 A free-to-download Illinois Chronicles Educator’s Pack, developed in partnership with the Illinois State Board of Education, has been offered to all teachers in Illinois to help them embed a new way of learning about State history across the K-12 curriculum. The Illinois Chronicles (ISBN 9780995577015) launched on February 12th, Abraham Lincoln’s birthday, and is widely available through retailers, wholesalers and online vendors. Trade inquiries may be directed to Ingram Publisher Services via iPage or by calling 866-400-5351.